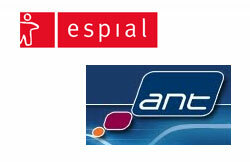 Espial, a leading supplier of digital TV and IPTV middleware, agreed to acquire ANT plc, which also develops embedded software for the TV industry. The all cash offer of £0.205 per outstanding share values ANT at approximately £5 million. ANT's Galio Suite is an HTML5 browser, client and applications stack supporting a wide range of consumer TV platforms. ANT's software has been extensively deployed by ADB, Amino, Bouygues Telecom, Cisco, Chunghwa Telecom, Coship, HwaCom, France Telecom, Humax, Pirelli, Sagemcom, Samsung, Technicolour, Telecom Italia and YouSee. ANT plc's shares are listed on AIM, a London Stock Exchange regulated market, under the ticker ANTP. Espial's middleware, video-on-demand, and browser products power a diverse range of pay-TV and Internet TV business models. Over 10 million licenses of its patented software are in use across the world. Espial is headquartered in Ottawa, Canada. ANT is based in Cambridge, UK. "Multiscreen video services on set-top boxes, smart TVs, tablets, PCs and smart phones are quickly becoming the new expectation for today's consumers. Delivering a superior user experience across these devices is a critical element to the success of TV service providers" said Jaison Dolvane, CEO of Espial. "The acquisition of ANT provides Espial with the increased scale, resources and depth of experience to extend our HTML5 market leadership. ANT provides rich expertise in delivering HTML5 user interfaces and applications as well as delivering complex vertically integrated client software solutions. We believe the acquisition of ANT will extend our capabilities to establish Espial as a clear market leader as TV service providers aggressively move to IP video delivery. We're excited about this combination and are committed to continue working with ANT's existing customers and partners to ensure their ongoing success"
In 2008, Espial, a specialist in IPTV middleware and applications, acquired Kasenna, which developed a "PortalTV" suite that allows TV providers to deliver advanced features such as recording and pausing live TV, PVR - both Network-based and Local, StartOver TV, Customized EPG, On-Screen Caller ID, Pay-per-View, Video-on-Demand, Favorites, Reminders, Weather Services, Network Games, etc. RagingWire Data Centers announced availability of wholesale capacity in its second Sacramento, California data center for enterprise-class infrastructure. RagingWire' wholesale offering features a patented power architecture that enables companies to scale from 200 kilowatts to 5+ and 10+ megawatts. The company said it has ample available power to support three 13,000 square foot PODs in Ashburn, 43,000 square feet in Sacramento, and build-to-suit greenfield construction on 75 acres in Ashburn, Virginia. In October, RagingWire Data Centers, which operates 650,000 square feet (60,000m2) of wholesale and retail data center space in Northern California and Northern Virginia, paid $20 million to acquire 75 acres of land in Ashburn, Virginia. The company plans to build a 750,000 square foot (69,000m2) data center in phases on the site. 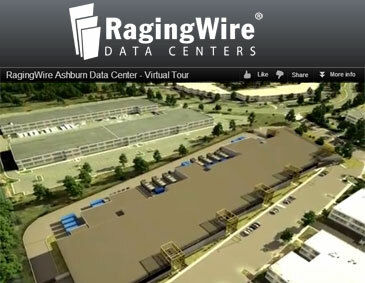 RagingWire currently operates a 150,000 square foot facility in Ashburn, along with its flagship 500,000 data center in Sacramento, California. 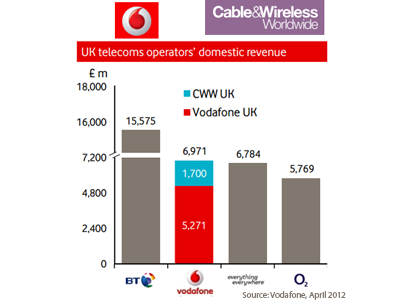 In follow-up to its acquisition of Cable & Wireless Worldwide earlier this year, Vodafone has formed a new Group Enterprise unit. Nick Jeffery, currently CEO of Cable & Wireless Worldwide, will be appointed Group Enterprise Director responsible for the new unit, and will report to Vittorio Colao, Group CEO.